Wood Projects by Bagel - Items you didn't know you needed until right now! Walnut Hardwood with maple plugs and one mahogany plug. 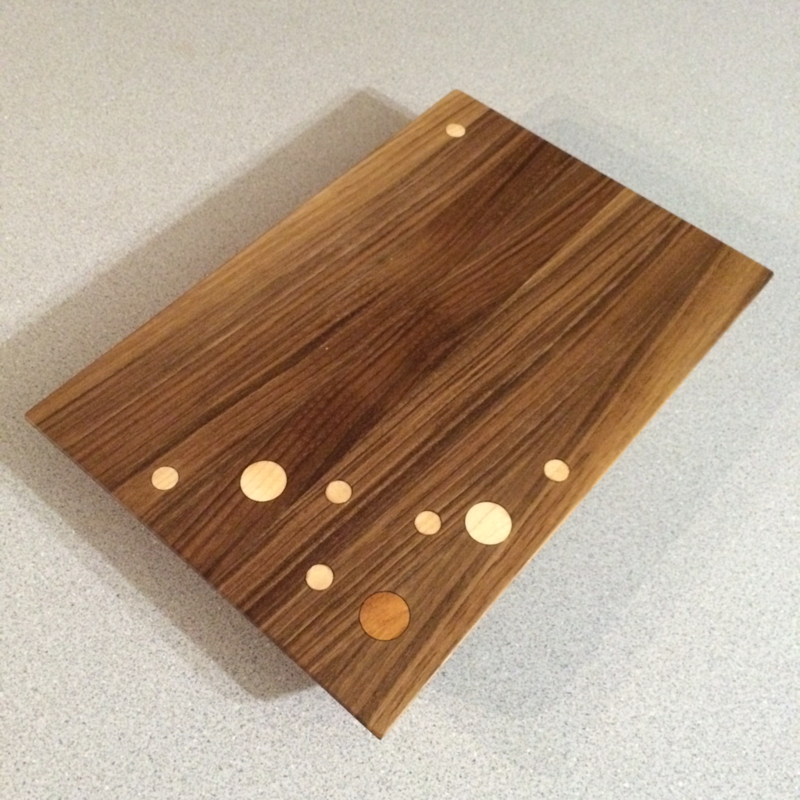 This board has been a source of much attraction for many customers. I have received many comments saying "it's too nice to be used in my kitchen" which is really nice to hear but it's taking up space and needs to be in someone's house! I made this to be used. It's 9" wide by 13" long and would make a great conversation piece for your next dinner party this holiday season! Price has been reduced by $10 from $85 to $75 order it today! Send me an email if you're interested. Shipping fees are extra unless you live close by! These have been my best seller for the Christmas season! They are all handcrafted out of hardwood by me and no two are the same. However, they all function the same so you can choose the opener(s) that best suits the space you'd like them to be in. They have rare earth magnets in the back of them so they magnetize firmly to your refrigerator meaning no longer will you need to fumble to find your bottle opener to open a tasty beverage! Even better, is the bottle caps magnetize to the front of the bottle opener so you don't have to worry about the caps hitting your floors during the holiday season! We have stopped counting bottle caps the magnets can catch at 25. I suspect more can hang there though with a gathering large enough! There are two main styles of openers that I have made. Lumber species and inlay species are listed below with the prices for each opener. Shipping costs are extra depending on where you'd like me to ship them to! 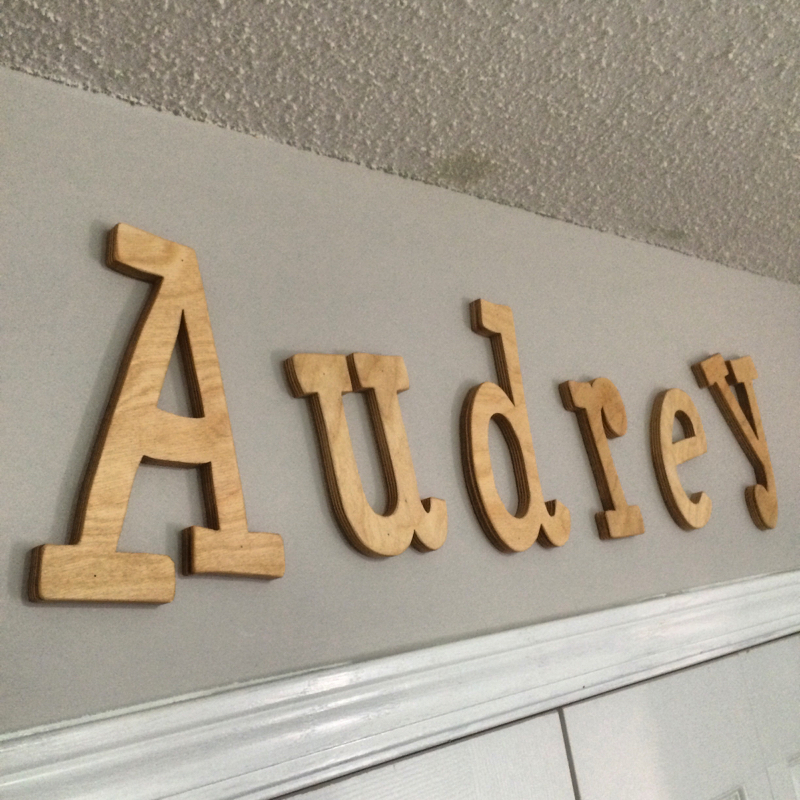 With the birth of our daughter, I cut out some birch plywood letters of my daughters name Audrey. I'm selling letters like this here. Email me or message me on my facebook page for a quote! Each letter that is cut out by hand is sanded smooth and finished with boiled linseed oil which matches our furniture in our nursey. 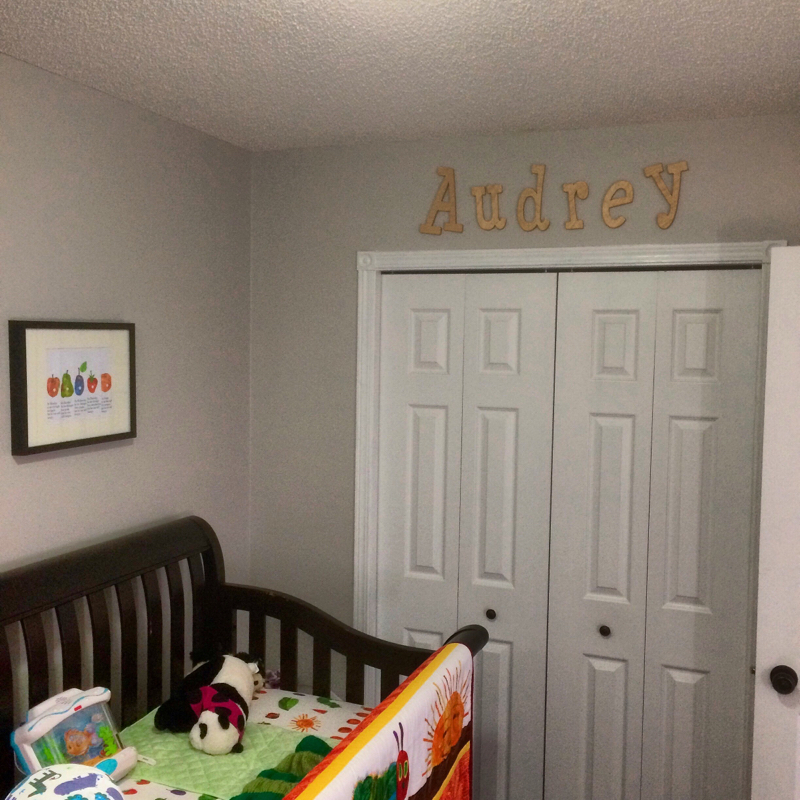 I could paint the outside edges of the letters to match your nursery or even use a different hardwood plywood by request. If you'd like to order some letters, there's a minimum 3 letter order at $20/letter. It'll take a few weeks to get them done as I'm learning how to be a dad haha. As things get figured out, I'm sure my timelines will shorten. Tell your friends and new moms! 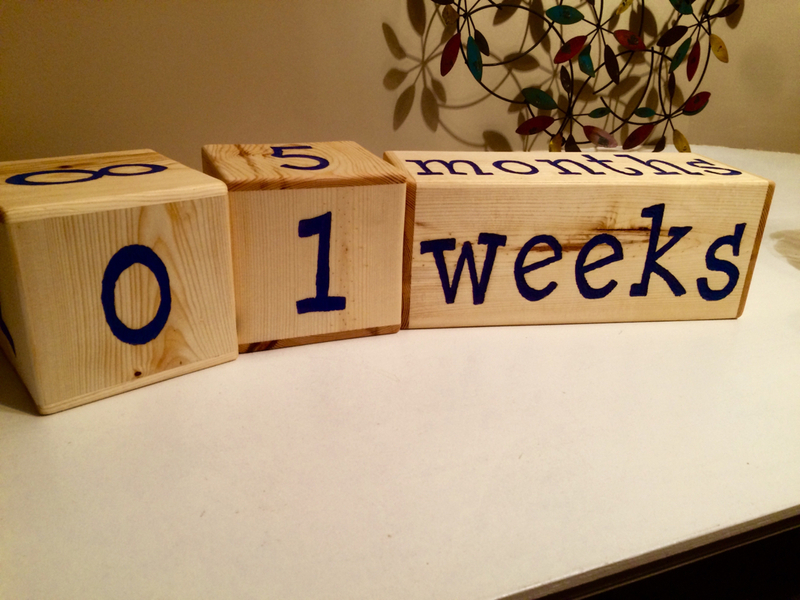 These would make a great gift for baby showers. New moms, your significant others called me to say you have their permission to order the letters you'd like! Shipping is free if you live in the area. Contact me if you'd like me to install them if you live close by. My installation price is very reasonable as I'm looking for you to smile as well! 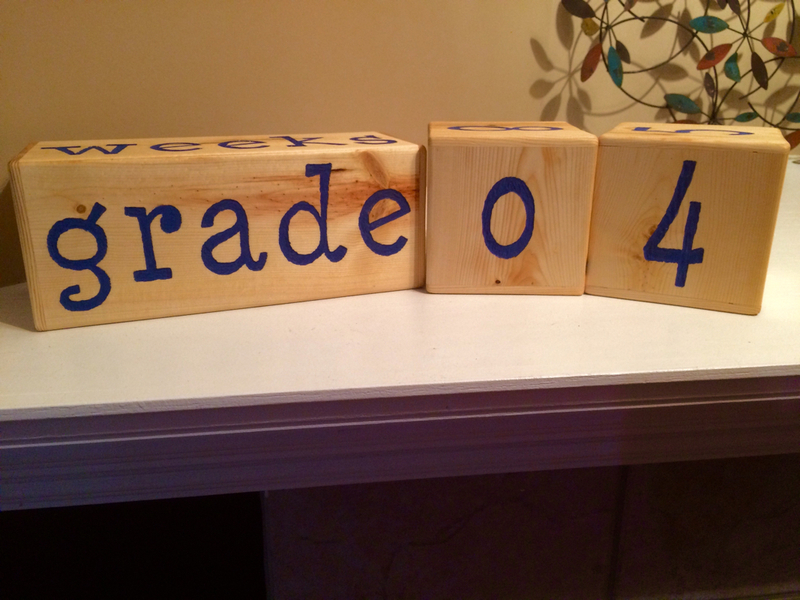 These hollow blocks are made of beautiful pine with numbers and letters stamped onto the surfaces. They are finished with child safe Tung oil and are oversized for entertaining photos with your loved ones. Order your set now! The set you see here is $60. I can change the colours of the font to match your requests. Email me for inquires!